Just one quick glance through this collection of luxurious heated sculptures from AEON is enough to demonstrate how great the range of designs, sizes and influences are. Their top class team of designers have put together a diverse range of vertical and horizontal radiators in both a high polished or detailed brushed finish to truly set your heating installation apart. Space-age sophistication. Vertical columns reach for the stars in this visually-stunning radiator that’s guaranteed to banish the chill. It’s out of this world. Brings the outdoors inside. This set of stainless steel hollow bamboo shoots reaches up to the sky. Wall and corner versions introduce a touch of Eastern promise to the room. Reliable and beautiful, created from top quality materials. This slim radiator will become an invaluable part of your home in no time at all and there is a towel bar option for added versatility. Unusual elegance. A range of bold designs twisted along the entire length of the bars to reveal attractive alternating brushed and polished steel. The perfect talking point. Reach for the sky. 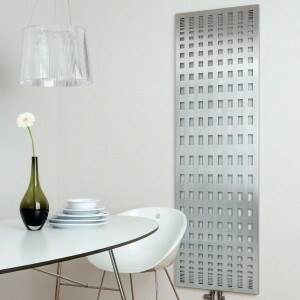 Echoes of the New York skyline are present in this dramatic super-size radiator. Modern art meets up-to-the minute technology as this exciting heat source steps into the limelight. Cutting-edge drama inspired by the barber’s tool. Unique Twister technology produces alternating polished and brushed steel surfaces, while tapered ends double up as coat or towel hooks. This design is larger than life. It is tiered against the wall to create an unusual, slimline look that boasts unrivalled attention to detail. What you might call a statement piece. The square spiral feature radiator in stainless steel; G-Type is new for 2017. Ideal as a towel warmer in a bathroom, wet room or lavatory to keep a towel comfortably warm. Good, old-fashioned glamour. Like the city that inspired it, this radiator is stylish and, above all, cosmopolitan. Install it in the hall for your guests to admire. Who says heating has to be dull? Vibrant, colourful design; perfect for fun-lovers and children’s nurseries. Bright globes contrast with sleek stainless steel tubes: a feast for the eyes. The last word in practicality. Combines a full-length mirror with attractive louvre-style heated bars and LED lights. Perfect for bathrooms, bedrooms… and getting ready for a great night out. Woven loveliness. This works horizontally or vertically, and brings a pleasing sense of order to the room. 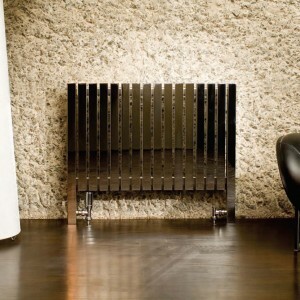 Sensuous and tactile, this gorgeous radiator will appeal to more than just one of your senses. Other-worldly appeal. 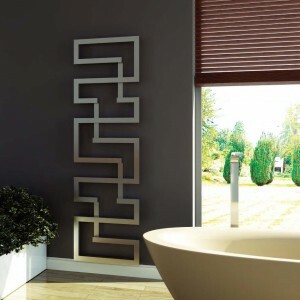 This bold radiator stands tall with its narrow square columns and smooth satin finish. They’ll be talking about this innovative design across the galaxy and beyond. Retro revolution. 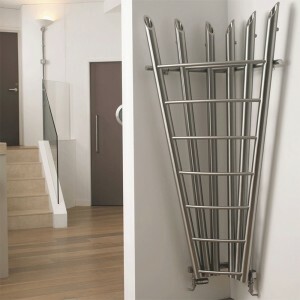 This funky, powerful radiator stands from floor to ceiling, doubling up as the ideal room divider. Also available as a wall-mounted radiator. Who can make the tallest tower? The stack of criss-cross bars makes this heated sculpture strangely reminiscent of childhood building blocks. Who says the fun must stop when we grow up? Spiralling perfection. Who would guess this ultra-modern sculpture is also a powerful heat source? This work of art will stop you in its tracks with its simplicity and brilliant technology. Time to turn up the heat. This stunning sculptural light and heat installation is so much more than a radiator. Its spiral glamour oozes impact, drama and class. Once seen, never forgotten.